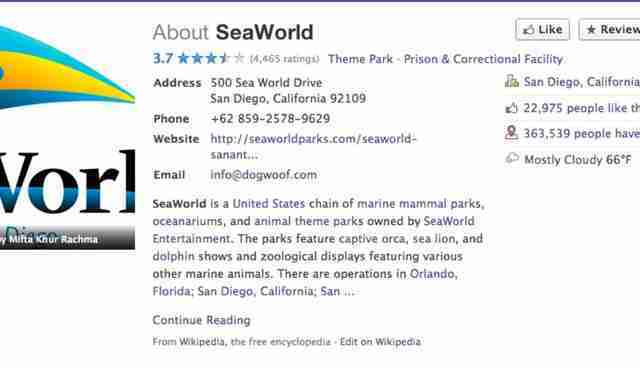 The Facebook-hosted Wikipedia page for SeaWorld (which can be edited by users) seems to be reflecting a growing sentiment among animal advocates today. 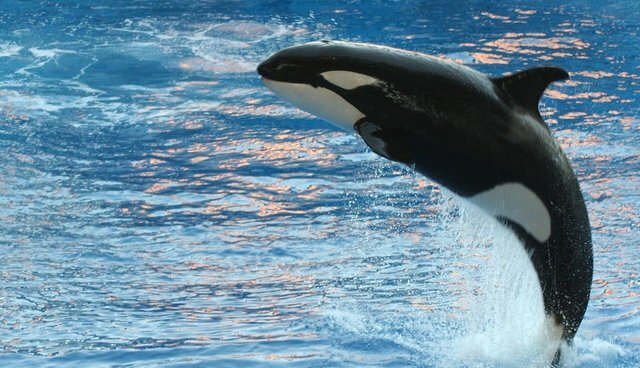 No word yet on who edited the page, but it's likely to be someone who saw the CNN documentary "Blackfish" -- the email address info@dogwoof.com is listed as a contact, and Dogwoof Documentary Film Distributor is the name of the company that distributes the film. 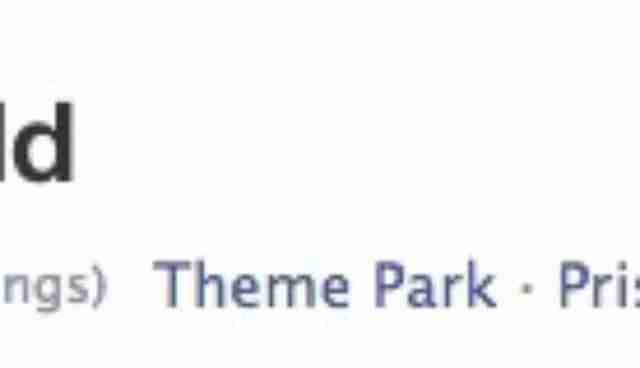 Maybe that's a subtle suggestion for people to look elsewhere for factual information about SeaWorld -- not the company's own page.